Can you ever atone for killing someone? Susan’s nails dug into Harlan like thorns. "Just get my little boy back for me. Do whatever it takes." "I…" Harlan’s tongue could barely force the words out through his teeth. "I will." "I promise. Whatever it takes, however long it takes, I’ll find Ethan." After the death of his son in a freak accident, DI Harlan Miller's life is spiralling out of control. He's drinking too much. His marriage and career are on the rocks. But things are about to get even worse. A booze-soaked night out and a single wild punch leave a man dead and Harlan facing a manslaughter charge. Fast-forward four years. Harlan's prison term is up, but life on the outside holds little promise. Divorced, alone, consumed with guilt, he thinks of nothing beyond atoning for the death he caused. But how do you make up for depriving a wife of her husband and two young boys of their father? Then something happens, something terrible, yet something that holds out a twisted kind of hope for Harlan - the dead man's youngest son is abducted. From that moment Harlan's life has only one purpose - finding the boy. So begins a frantic race against time that leads him to a place darker than anything he experienced as a policeman and a stark moral choice that compels him to question the law he once enforced. 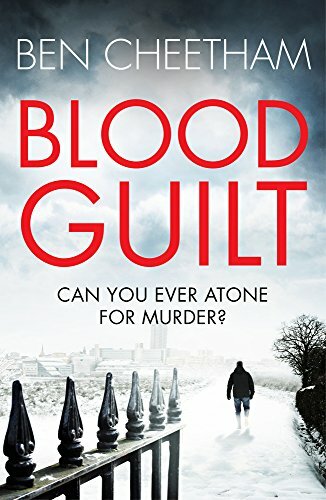 Blood Guilt is a race-against-time thriller with a unique premise from the bestselling author of Angel of Death, Justice for the Damned, Spider’s Web and The Lost Ones. Perfect for fans of Joy Ellis, Angela Marsons and Robert Bryndza. ‘Fast-moving action and lots of twists make this debut novel a most enjoyable read.’ The Times. ‘I read the first half of this book in one sitting. I just wasn't prepared for a book as good and as fast paced as this one... Ben Cheetham is my new guilty pleasure!’ Best British Crime Books & More. ‘This is a blast of how to write a crime thriller... keeping the reader wanting to know how it ends... I cannot recommend Blood Guilt highly enough.’ Atticus Finch, Amazon Top 500 reviewer. ‘An enthralling page-turner! This fast-paced novel kept me hooked from start to finish as it has some very interesting twists... I really enjoyed it and I highly recommend it to anyone.’ Relax and Read Reviews. ‘More twists and turns than a theme park ride. Just when you think you have everything worked out, Cheetham brings another stunning twist to the story... keeps you hanging until the very last page.’ ElementaryvWatson. ‘Cheetham... allows the reader an insight into the pain that no parent ever wants to feel when a child goes missing... The turmoil boils and bubbles away leading ever onward to the explosive finale.’ I Meant To Read That. ‘There are red herrings a plenty... I believed I knew one of the culprits, and was feeling quite smug as Miller drove up to his house, but then he drove straight past it - I was wrong.’ Ebookwyrm’s BlogCave. ‘A gritty page-turner, with plenty of action and an interesting hero.’ Promoting Crime Fiction by Lizzie Hayes, founder member of Mystery Women. ‘A cracking page turner of a thriller.” Daz’s Reviews. ‘Cheetham writes about darkness of the spirit, examining fallibility, frailty and weakness... This is a bleak book, but pacy and engaging.’ Nudge. ‘Excellent plot and a page turner.’ Amazon Vine Voice review. ‘In terms of sheer un-put-down-ability, this was the best book I've read in a long time.’ RavingReviewer.